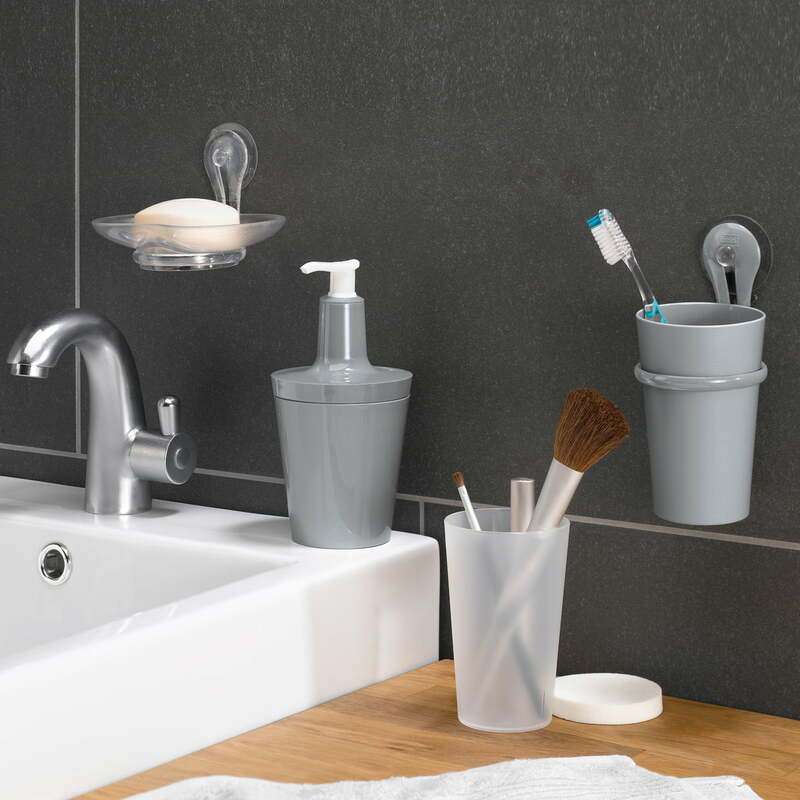 The toothbrush tumbler Loop of Koziol saves space - because he must not be installed on a counter, but can hang on the wall. Loop is ideally suitable in smaller bathrooms where surfaces are scarce and it offers enough space for toothbrush and toothpaste. 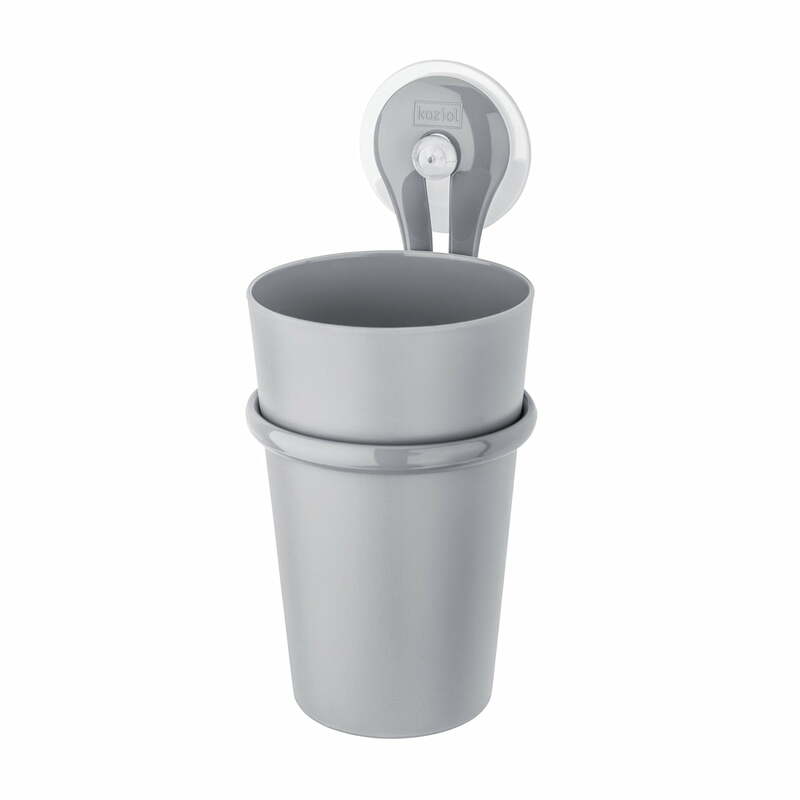 The tumbler is easily mounted on any smooth surface and it can be repositioned because of the suction cup. The fastening with a screw is also possible. However, the tumbler is not only functional, but also visually appealing: The slim, high cup perfectly fits in the support with a contrasting colour. Loop is available in different colours, for the individual decision whether to set colourful accents with the cup or whether fitting decently in the bathroom. A completely balanced picture emerges together with the other elements of the Koziol Bathroom series.